Q. Can alumni borrow library materials? Yes, alumni can borrow library materials from the Berkeley College campus libraries. 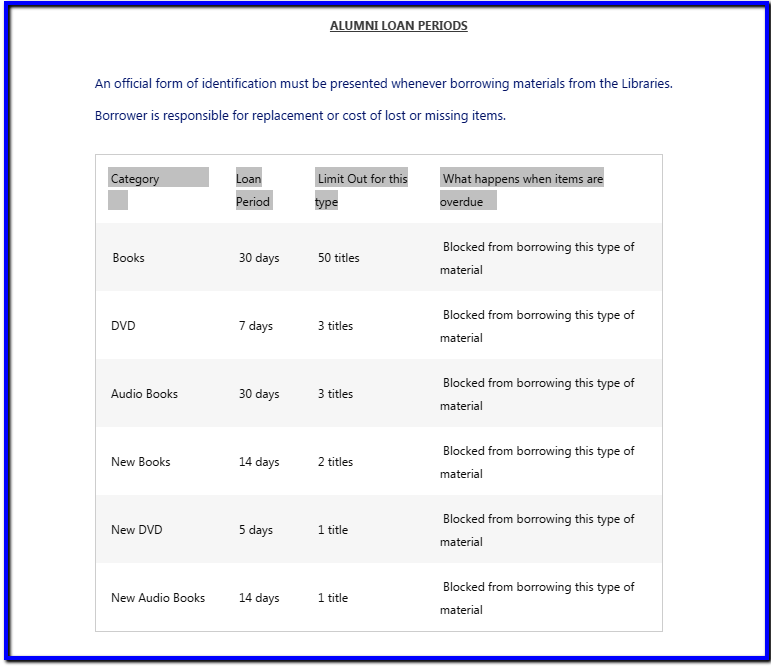 An official form of identification must be presented when borrowing library materials. The borrower is responsible for replacement or cost of lost or missing items. Alumni may borrow up to 50 books for 30 days. They may borrow up to 3 DVDs for 7 days. You can find more information on the Borrowing/Renew/Request section of the library website.